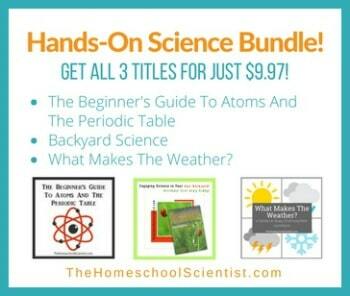 This post contains affiliate links which means each purchase made through these links supports The Homeschool Scientist. Each October, every school aged child in the United States studies Christopher Columbus. They might read stories of adventure and exploration, learn history, study maps, and learn geography. An interesting aspect of Columbus’ life hat gets overlooked is how Columbus and his contemporaries got to where they were going and how they figured out where they were. They used science! Navigation is the process, or science, of accurately determining one’s position and planning a route of travel. This was a vital subject for explorers to study. Whether explorers were traveling by land or sea, they needed to use navigation to point them in the right direction and to help them determine where they were in relation to where they had been. Good navigation kept them from getting lost. Modern navigation uses GPS systems, compasses, or online maps. In Columbus’ day, there were no GPS systems and maps of many areas were non-existent or not accurate. So, what did these early explorers use to find their way? They used the science of astronomy. Astronomy is the study of objects and phenomena outside the Earth’s atmosphere such as stars, planets, comets, galaxies, etc. Last fall, in our Trail Guide To Exploration curriculum we learned about how Columbus and his sea-faring contemporaries used their knowledge of astronomy and ocean currents to navigate their ships on explorations. Using the stars to find your way is called celestial navigation. This Columbus Day, you might want to add a little astronomy and navigation study to your lesson plan. Here are some great resources to help.